Bring this plaster unicorn to life with a pop of color, a dash of magic and a touch of imagination! 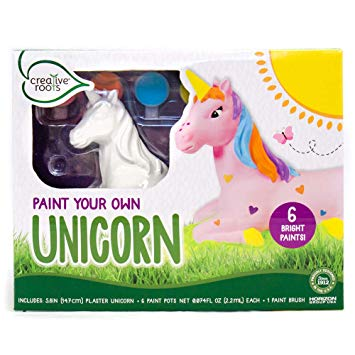 Amazon has this Creative Roots Paint Your Own Unicorn for only $3.99! (Reg $7.99) Add flower designs, hearts and more to make this unicorn uniquely yours. Proudly display your personalized unicorn outside, in a flowerpot or on the shelf!